No I didn't get this and Lightfoot didn't really 'travel' well I don't think. It may have been No. 1 on the Billboard chart but I don't think it charted here at all. (Didn't even make the Top Thirty I don't think) This is an interesting and fairly innocuous sounding song and I feel that about most of his stuff but it is of interest and value for sure [Bob Dylan and Robbie Robertson really rated him as songwriter and Bobby even is quoted as saying 'Every time you hear a Gordon Lightfoot song, you don't want it to end') but the note about Cathy and her overdosing Belushi with a shot of 'speedball' is revealing . . . . . . sometimes we have lucky escapes, sometimes we don't . . . . . .
On this day in music history: June 29, 1974 - “Sundown” by Gordon Lightfoot hits #1 on the Billboard Hot 100 for 1 week, also topping the Adult Contemporary chart for 2 weeks on June 8, 1974. 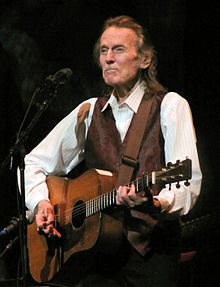 Written by Gordon Lightfoot, it is the biggest hit for the Canadian born folk rock singer, songwriter and musician. The title track of his tenth album, the song is written about Lightfoot’s painful break up from former girlfriend Cathy Evelyn Smith, who later becomes infamous as the woman who kills comedian John Belushi in March of 1982, by injecting him with and accidentally overdosing him with a speed ball (a combination of heroin and cocaine). “Sundown” re-establishes Lightfoot in the US charts some three years after he scored his first hit with “If You Could Read My Mind”, having been sidelined in 1972 by a bout of Bell’s Palsy, partially paralyzing part of his face. Released as a single in late February of 1974, it becomes a hit on AC radio before crossing over to the pop Top 40. Entering the Hot 100 at #83 on April 13, 1974, it climbs to the top of the chart eleven weeks later. The huge success of “Sundown”, also propels the accompanying album (of the same name) to the top of the Billboard Top 200 for two weeks beginning on June 22, 1974. “Sundown” is certified Gold in the US by the RIAA.